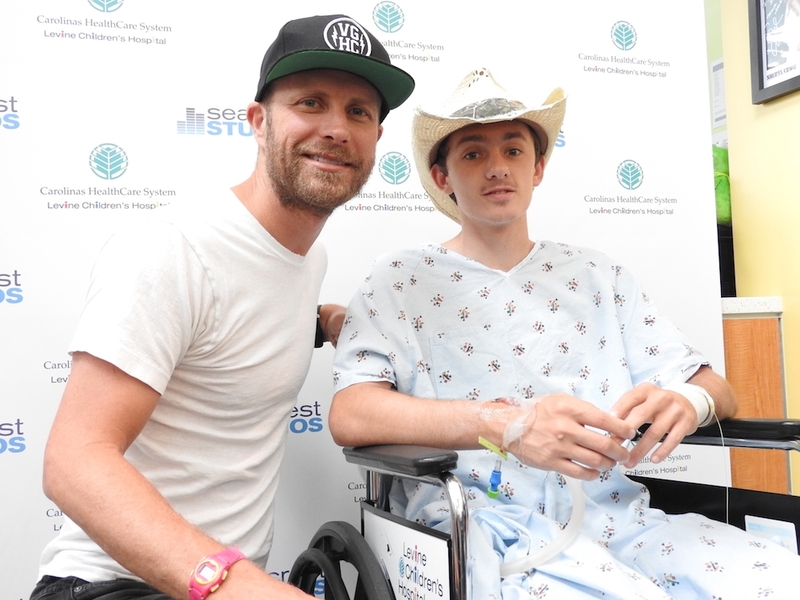 Patients at Seacrest Studios Charlotte Interview Dierks Bentley! During the interview, we learned Dierks has an affinity for vegetables, and if he were to have a statue made of him, he would pose with his fists in the air as if on stage in front of a cheering crowd. Dierks admitted that was one of his favorite questions, but our favorite moment was Dierks showcasing his version of the running man and attempting a DJ voice. Dierks played a round of “Guess that Country Music Star,” and one could say he knew his colleagues pretty well. Dierks and Bryson even sang “Huntin, Fishin, and Lovin Every Day” together. Afterward, Gray quizzed Dierks on his favorite holiday and was so adamant Christmas is the best holiday that he convinced Dierks to change his answer from The Fourth of July to Christmas, too. When asked whom he resembled, Dierks had the studio laughing when he humbly confessed he looks like Brad Pitt; however, a highlight of the visit was when he was asked, “What is one word you would use to describe yourself,” and Dierks said he hoped it would be grateful. We sure are grateful for your visit, Dierks! Thanks for a fabulous afternoon full of fun games and unforgettable dance moves!